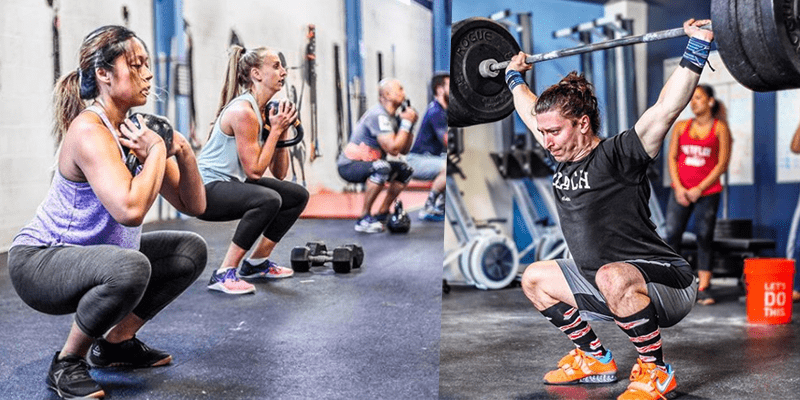 What is Scaling in CrossFit? Scaling allows any athletes to complete the same workout, regardless of ability, simply by altering the weights and movements in order to produce the same level of intensity. Every beginner in CrossFit hears the word scale. When I started I never knew what the coach meant by this word. However, is this the best thing about CrossFit. Scaling options are the reason why everyone, in whatever shape they might be, can do CrossFit. Scaling basically means that you change the intensity of the workout to your fitness level. There is a scaling option for every single exercise. For example, you can always use a lighter weight in a weightlifting session or use elastic bands to help you with pull ups, muscle ups, squats and more, do fewer reps or just anything to help you finish the workout with your skill level. Even crossfitters that have been doing the sport for a longer time have to scale occasionally. Perhaps due to injury, or they don’t have enough strength in them that day to keep that weight for a whole wod. Some of the benchmark wods have heavy loads that not everyone can handle. I am fortunate to coach athletes with a wide range of experience & ability. This #academyaward video from @prestonsmithphotography highlights @stephthehammer & @richfroning. These very different athletes performed the same workout that I titled EQUIVALENT. Although the athletes are running different distances, their interval intensities and time domains have been personalized to create an identical workout experience and, more importantly, a fair fight!! This lactate threshold workout has been posted on aerobiccapcity.com (see link in bio). Scaling can also mean that you do fewer rounds with the same intensity and weights, or just fewer reps of that particular exercise that you have not mastered yet. Maybe the reps for double unders in the wod is 50, but you cannot string together more than two, instead of scaling down to single unders, which is also an option, you can still practice your double unders but scale the reps down to 25 or just to doing double unders for 90 seconds. For most beginners scaling is necessary to survive the workout. With time and more CrossFit session you will be able to Rx before you know it. There is no shame in scaling, ask your coach about the scaling options for you.